The deal is available to customers from the US Microsoft online store, as well as physical retail locations. The tablet usually retails for $749 with the keyboard priced at an additional $160. That makes the discount for this bundle a massive $275. 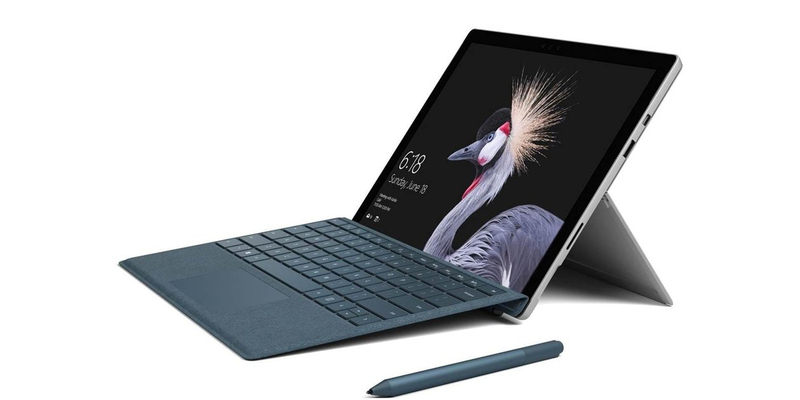 The Surface Pro on sale features a 12.3-inch display with a 2736x1824 pixel resolution, 128GB of SSD storage, an 8MP rear camera, a 5MP front camera, full-size USB 3.0 port, a microSD card reader, a 3.5mm headphone jack and is powered by a 7th Gen Intel Core M processor with 4GB of RAM. Microsoft promises that the Surface Pro is capable of 13.5 hours of battery life in continuous video playback. This Surface Pro bundle is an excellent alternative to the Apple iPad Pro, which has a smaller display and costs more for its 64GB variant with no bundled keyboard. If you are looking for a solid portable tablet with productivity in mind, make sure you take advantage of this Surface Pro deal while stocks last.